Our New Haven, Connecticut location, the former Marlin Firearms building, serves customer in and around the north east coast, and our team manage a wide range of print requirements for businesses of all sizes and also provide support to the many requiring academic print at Yale University. Delivering quality is what we do, from designing detailed direct advertising campaigns that are delivered in their thousands, to personalized digital print for small companies working to a budget. Getting to the heart of our customer’s needs drives us to continually find ways to improve how our managed print service impacts your life. 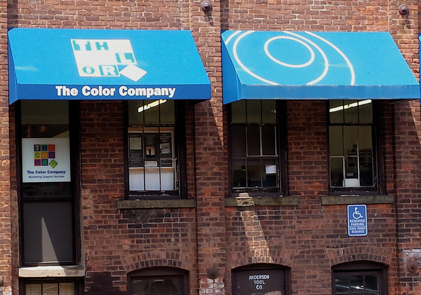 The Color Company Connecticut works with a growing number of clients in the North East of America. Our customers have come to rely on our expertise to support their marketing and it’s a responsibility we take seriously. Using state-of-the-art technology, we have the ability to provide an exciting range of small and large format print that can be used for a whole host of activities. Our team in Connecticut are always available to consult and help you find the right print solution to resolve your time sensitive printing dilemma’s.